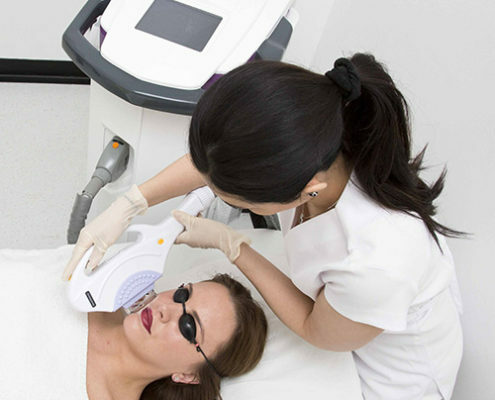 The Stratum 8 multi-function platform provides a wide range of IPL, laser and radio frequency based treatments. Its modular constructions enables a low initial purchase price with the ability to expand to suit your clinic’s needs. By effectively replacing up to eight conventional machines the Stratum 8 saves both space and cost. It is an effective tool in all areas and although dedicated machines in some of the areas would be fast; for many clinics the Stratum 8 may well be the only machine of its type you will need. For expanding clinics the Stratum 8 enables your clinic to cost effectively enter the market and if required, purchase specialised machines at a later date from the profit generated by the Stratum 8, as you establish your market presence. Key components sourced from established and proven US and European manufacturers. System control provided by ARM processor developed in Cambridge, England and running the android operating system used in millions of devices worldwided. TEC cooling of the system and where appropriate the treatment heads for added reliability and patient comfort. Operates from a standard 13A socket and fully tested to meet UK main requirements. The Stratum 8’s innovative mono-polar RF device is an effective method for reducing fat in selected areas and at the same time tightening the skin. The incorporation of thermo-electric cooling of the treatment tip enables effective reduction of the layer without overheating the skin. Mono-polar RF can be used to help to flatten and tighten the abdomen, reduce love handles and clip those bat wings. Bi-polar RF is used for skin tightening and is preferable to mono-polar for use on the face Mono-Polar and Bi-Polar Radio Frequency Treatmentsdue to the shallower depth of treatment. 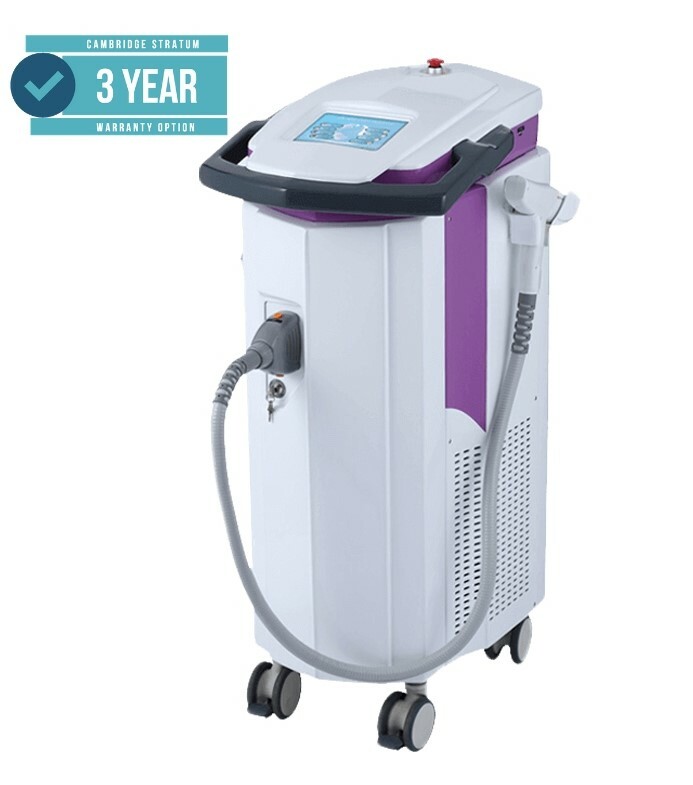 The QS NdYag is the laser of choice for the vast majority of tattoo removal requirements. At 1064nm it is an effective tool for the removal of black or blue tattoos and pigmented lesions. 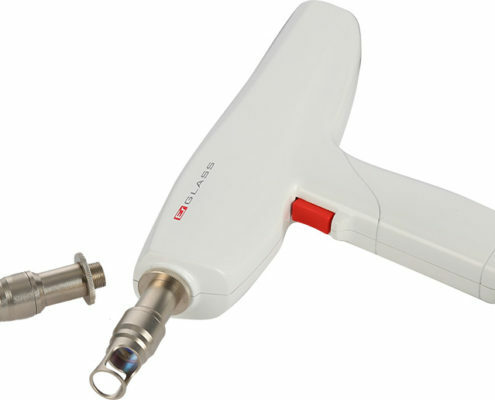 With the addition of KTP frequency doubler (532nm) it is also able to treat red tattoos. How many treatments are required will depend upon the depth, colour and type of pigment. The QS NdYag is supplied with a 1-5mm focus tip and a 7mm diameter expander tip. The Long Pulse NdYag at 1064nm wavelength is used for the treatment of vascular lesions in all skin types. 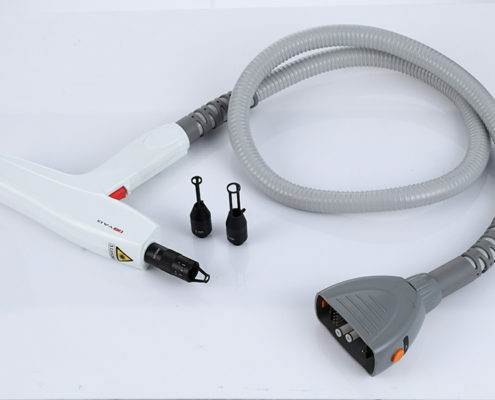 It can also be used for hair removal in all skin types and is particularly useful for types V and VI. The large diameters being more useful for Telangiectasia and Rosacea that has a fine line and less well defined network of veins. Er:Glass operates at 1540nm where the main chromaphore is water, although it is not absorbed as strongly as ErYag at 2940nm, it penetrates the skin more deeply and is non ablative. The main uses of the Er:Glass laser are for skin resurfacing and the treatment of surgical and acne scars, stretch marks and wrinkles. It is also used for the treatment of melasma. The fractional Erbium Yag laser works at a wavelength that is the most readily absorbed by water in the skin. 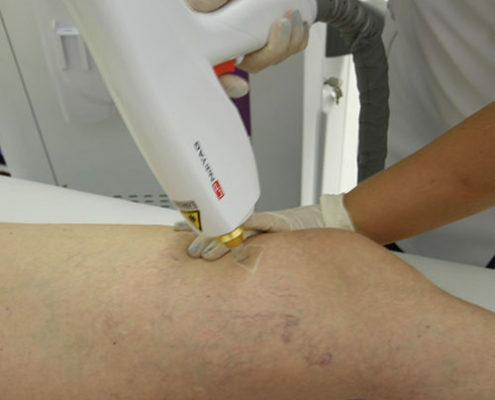 As a result it has a high ablation efficiency and does not penetrate as deep as a CO2 laser. A result of the fractional ablation patterns and the relatively shallow exposure depth is the rapid healing of the affected parts. It can therefore be thought of as being positioned between the non ablative Er:Glass and ablative CO2. Applications; skin resurfacing, wrinkle and fine line removal, photo damage treatment, texture irregularity revision, wart and nevus removal.